On a microscopic level, there’s a battle going on inside every calf’s gut. In order for a calf to grow into a healthy adult animal and meet its full genetic potential, good gut health is vital because it allows the calf to efficiently utilize the nutrients in feed. 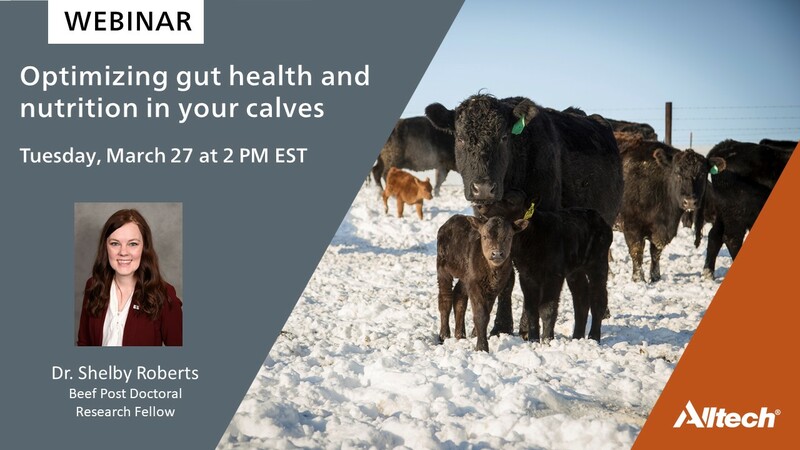 In this webinar, Dr. Shelby Roberts uses her knowledge of ruminant health and immunology to take a closer look at calf gut health and the importance of nutrition during the first weeks of the calf’s life. Dr. Shelby Roberts is a postdoctoral researcher at the Alltech Center for Animal Nutrigenomics and Applied Animal Nutrition research facility. Roberts specializes in ruminant health and immunology.